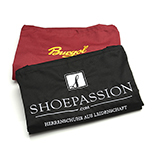 At SHOEPASSION.com we have everything you need to keep your shoes looking good for years to come. Our wide range of shoe accessories boasts everything the shoe lover needs to prevent wear and tear to his footwear and lengthen its lifetime, whatever the conditions outside. With solutions for tight shoes and troublesome weather like ice and snow, our range of shoe accessories has everything you need to keep your shoes in the best conditions. This colourless aerosol shoe stretcher spray helps widens and stretch shoe leather. Stain removal and dry cleaning for all kinds of rough leather and suede. 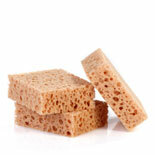 Sponge for cleaning, applying shoe cream or giving your shoes a gentle brush. 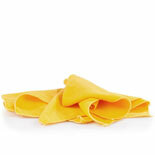 Gold-yellow cotton cloth will provide the shiny finish of your footwear. Eliminates lengthy breaking-in periods and keeps shoes from pinching. 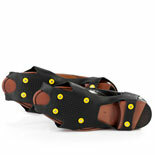 Non-slip protective Vibram rubber sole for leather shoes—enjoy a firm stance in winter. Unfortunately, new shoes do now always behave as you they will. Sometimes they take a long time to break in or prove useless during inclement weather. If a scratch appears on the leather upper too, you can quickly become frustrated. Thankfully, shoe accessories are the ideal choice for solving all these problems on your own. Our shoe accessories include a variety of useful care products, for example an anti-slide-sole, which will help prevent your shoes from slipping on smooth surfaces. 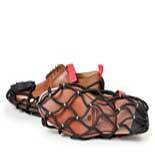 Galoshes are also included in our shoe accessory range. These slip-on overshoes protect your shoes from inclement weather and have a polishing effect, as well. 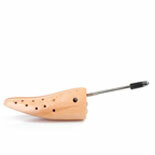 Furthermore, we also carry a shoe stretcher or a bootjack. While the first one will stretch tight footwear, the second will facilitate slipping out of your boots in a comfortable manner. 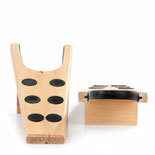 You will also find a bone in amongst our shoe accessories. That may sound a little strange, but a shoe bone is a traditional care product to straighten creases and remove scratches from the leather upper. It also adds shine without damaging the surface. 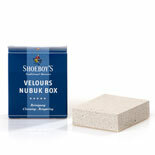 All in all, shoe accessories provide great benefits to those serious about their shoe care. The right choice of accessory offers shoe lovers the ability to remedy shoe problems themselves, instead of bringing a pair of new shoes right back to the shop or visiting an expensive shoemaker. 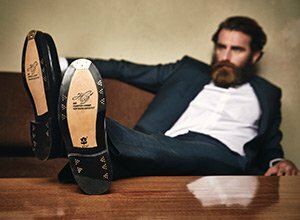 With our shoe accessories you no longer have to accept little nuisances. 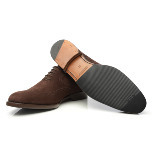 Just use our wide range of high-quality shoe accessories and your feet and footwear will thank you for it.